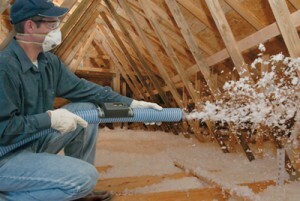 Adequate attic insulation is vital to prevent the escape of warm air in the winter and cool air in the summer. Without proper insulation, a home simply cannot be as energy efficient as it should be. That means that monthly power bills are almost certainly going to be higher than necessary. Fortunately for homeowners in the Washington, D.C. region, Shiner Roofing, Siding and Windows is here to help. Since 1981, we have been the family-owned and operated home improvement company of choice throughout Northern Virginia, Maryland, and the District of Columbia. Shiner does more than install attic insulation to ensure your home is as energy efficient as possible. We are a full-service home improvement company, serving towns throughout the region, including McLean, VA, Potomac, MD, Arlington, VA, and more. Our services including new roof installation, new window installation, new siding installation, and many other projects designed to beautify and conserve energy. Contact Shiner today to learn more about our attic insulation options. We are a licensed, bonded, and insured home improvement contractor serving Falls Church, Fairfax, and elsewhere in the Washington, D.C. region.